It was The Cult gig at Tivoli that brought us to Utrecht, however it only took half an hour for the city’s brewing history to become apparent. Waiting on the street above Rooie Dop’s brewdungeon, the plaque halfway up the the building opposite could only mean one thing. 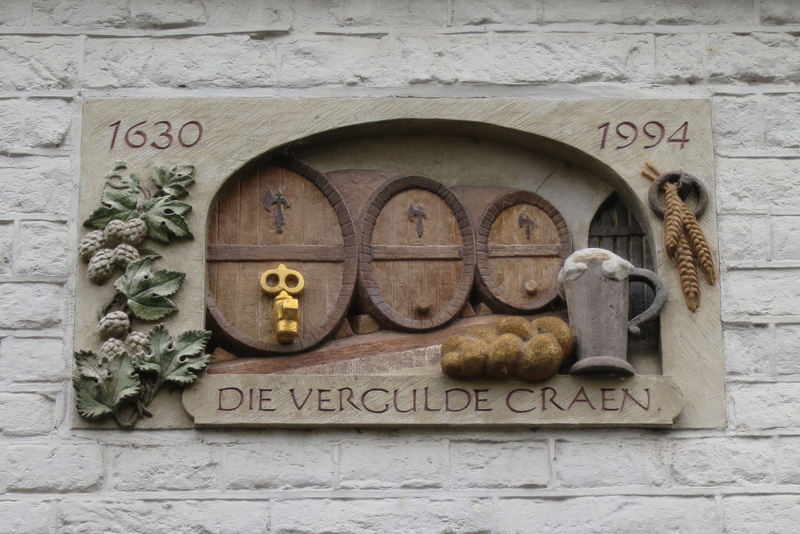 A couple of friendly residents confirmed that the building has been known as Die Vergulde Craen (The Golden Tap) since 1630 and that a brewery was in operation there from 1558. 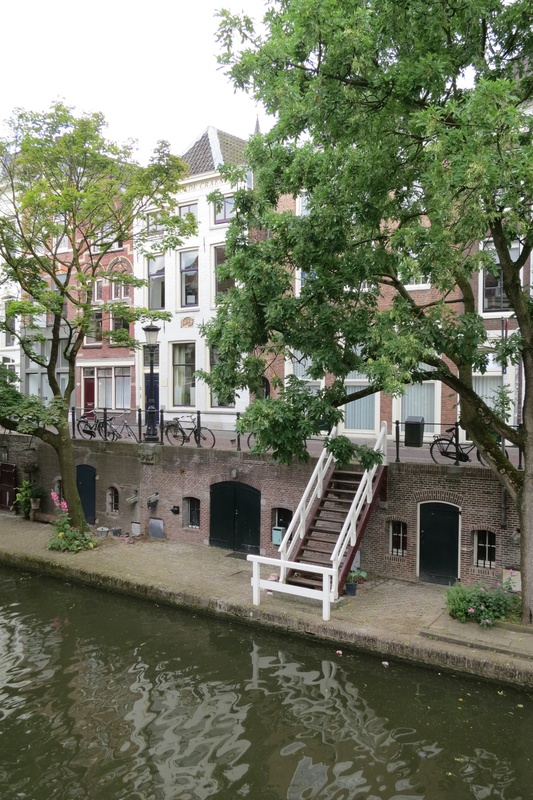 We were also told that back in those days, the people of Utrecht drank beer because the water was so bad and well over a dozen breweries could be found along the canal as it was used to transport the clean water needed for brewing. The brewery was founded by 3 mates who once lived in the same student house and were brought together through their love of electro music – there was a radio show and quite a few parties and festivals involved along the way! The name Rooie Dop comes from the red bottle caps used when they first started home brewing in March 2010. 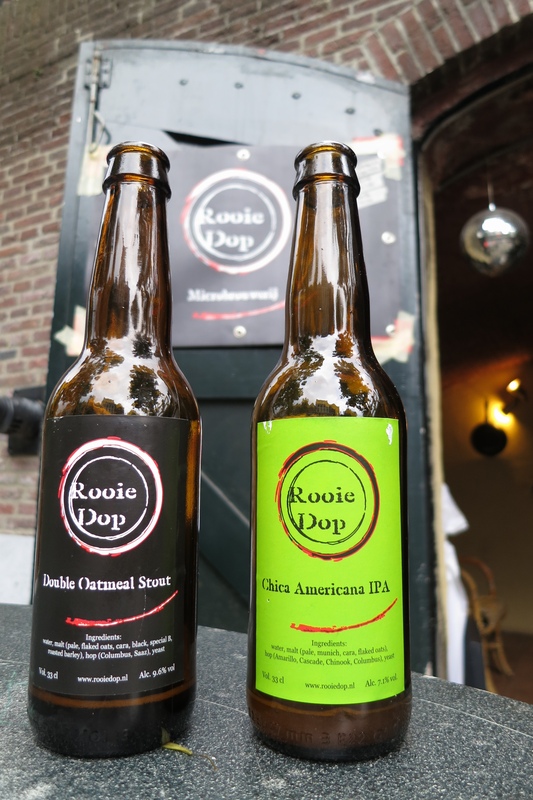 Their Double Oatmeal Stout and Chica Americana IPA have been available commercially since April 2012 and are brewed at nearby Brouwerij de Molen. They brew their test batches onsite in the brewdungeon (#028 is currently fermenting) and like to balance experimental brews, such as the Robust Smoked Honey Mustard Porter, with well-known styles. The doors of the brewdungeon are opened on the first Sunday of every month for people to come along and sample their latest trials. The guys are very positive when speaking about microbreweries in Utrecht and The Netherlands in general, citing that everyone helps each other out where they can as they are all beer lovers and share a common enemy… No prizes for guessing who that might be!